There are lots of great sales this weekend! All of the items below are items I own and use in my home!!! 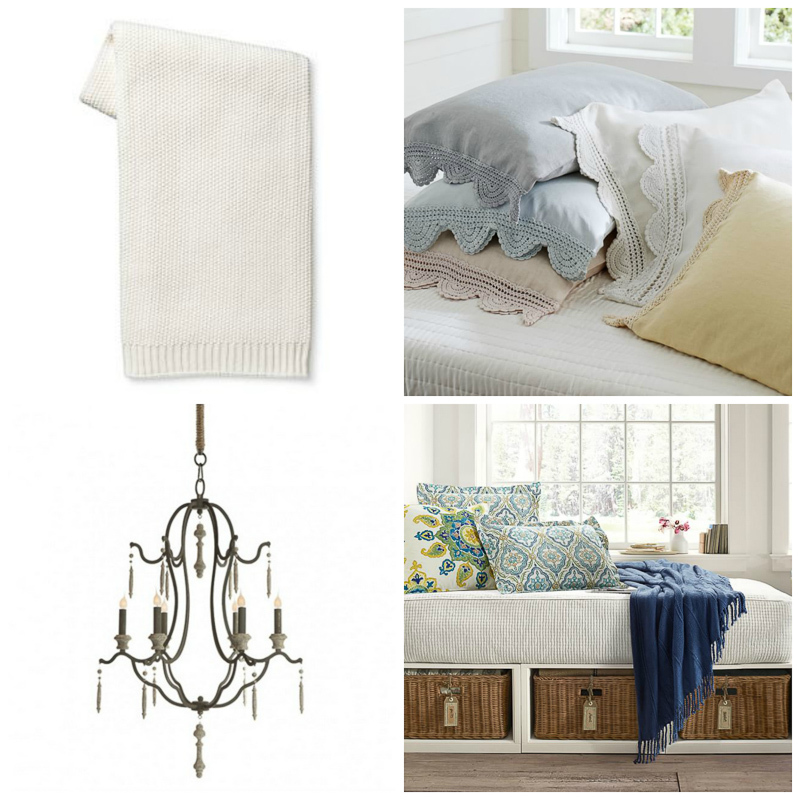 Also, Pottery Barn has 100’s of items up to 70% off for it’s Summer Sale, as does West Elm. And don’t miss Anthropologie . They are offering an extra 25% off all sale items. Happy Shopping! Knit Throw Such a great summer throw. Be sure to use coupon code HOME for sale price. Crochet Trim Sham I use these in my master and guest bedroom. Chandelier You can see this in my nook. 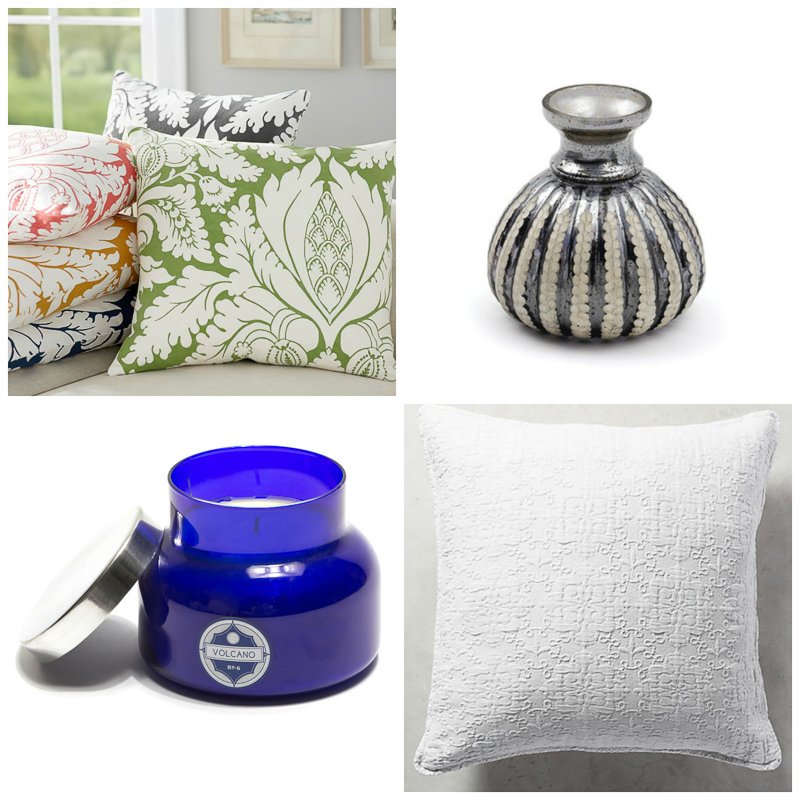 Damask Print Pillow Look for these in ebony in my upcoming Summer Home Tour! Vase One of my favorites. Candle Can’t beat this staple. Euro Sham Such a classic. Thanks for the tips! I’ve been looking for a round kitchen table that seats 6. Any reccs? Love yours! Thanks. Hi Jen! Thank you! I don’t have any tips on where you might get one like mine, but I promise to do a blog post about this soon. I get asked about it often and I’ve been meaning to do some searching. I bet there are some good ones out there!